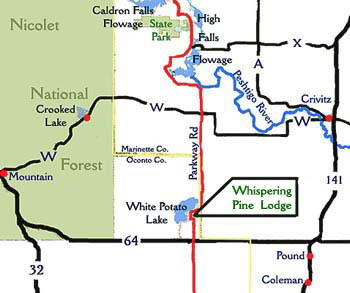 Located in the north woods near Crivitz, Wisconsin, Whispering Pine Lodge is just across Parkway Road from White Potato Lake. Opened in 2001, Whispering Pine Lodge has become a popular spot for a vacation or getaway in our beautiful rustic log cabins. There is a charming gift shop with seasonal items and home decor items for you to choose from. 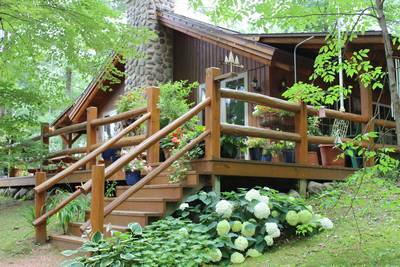 Our rustic frontier-style cabins offer beautiful accommodations in the peaceful seclusion of Wisconsin’s north woods. They are rustic, but come equipped with all of the comforts of home like air conditioning and a full kitchen. Each unit has a kitchen/living room/dining area, a bathroom with shower, a bedroom and a loft. These units will sleep 6 comfortably with a queen size bed in the bedroom, a full size bed in the loft and a full size futon in the living room. 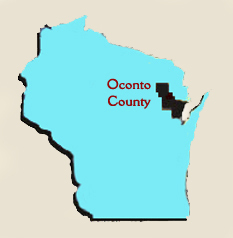 Located in Oconto County and bordering Marinette County, this area offers a multitude of recreational opportunities. We are close to the Nicolet National Forest and the Peshtigo River State Forest as well as many lakes, rivers and streams for the boating and fishing enthusiast. 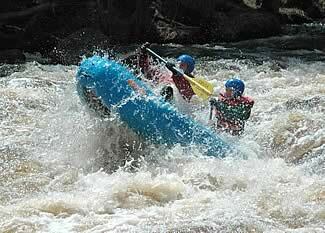 We are a short distance from the Roaring Rapids section of the Peshtigo River, offering the best whitewater rafting in the Midwest. 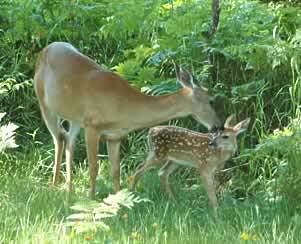 Whispering Pine Lodge is located in Oconto County in northeast Wisconsin. We are about 30 miles north of Green Bay and 100 miles east of Wausau. We are easy to find just north of Hwy 64 on Parkway Road about 10 miles west of Hwy 141. 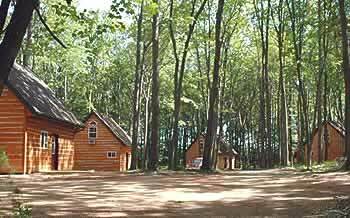 We are close to the Nicolet National Forest, the new Governor Thompson State Park and the Peshtigo River State Forest surrounding High Falls and Caldron Falls Flowages. There are a multitude of recreational opportunities in our area. To get directions from your location, click through the Google Map.